This webpage is a simple question game. 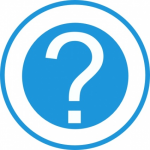 All the players, except for Marten, can answer a question, a question can be added by all the players and is selected to be answered by Marten. 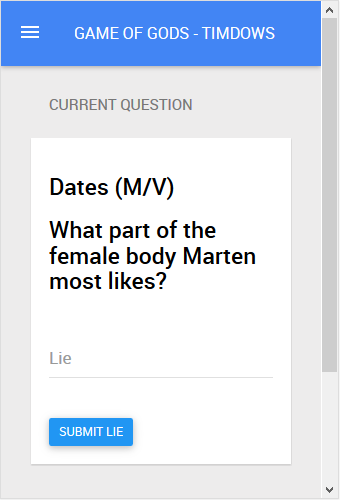 When all answers are submitted, Marten has to pick the best answer. All players also select the answer they think Marten will pick. 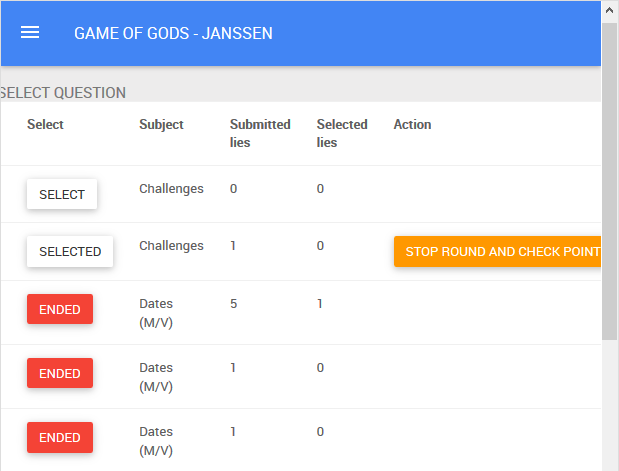 Next the scores are shown, points are given to the player that submitting the answer Marten selected, and points for every other player that selected your answer (regardless if it was picked by Marten or not). 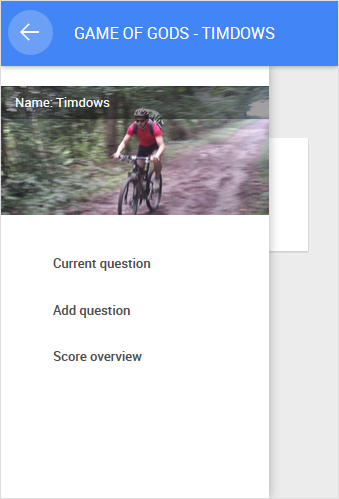 At the main screen there is the option to insert a new question. This question has to be submitted under a category. The player can change his/her name, as long as it is not used by another user already. Next a question is presented to the player. The player has to fill in a lie (or something that is most likely to be picked by Marten or other players in the next phase). 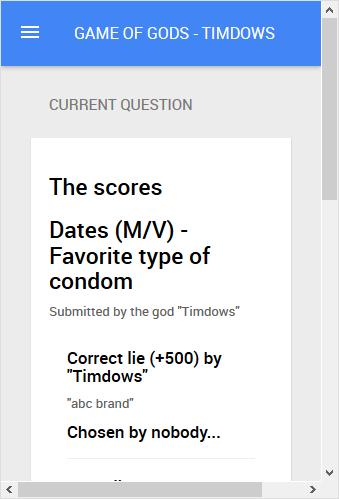 When the player has submitted it, the page shows the amount of lies entered for this question. In the points phase, the player has to select the best lie, remember that points are given to the player that submitted the lie. When also Marten has selected the best lie, the points for this round are given. 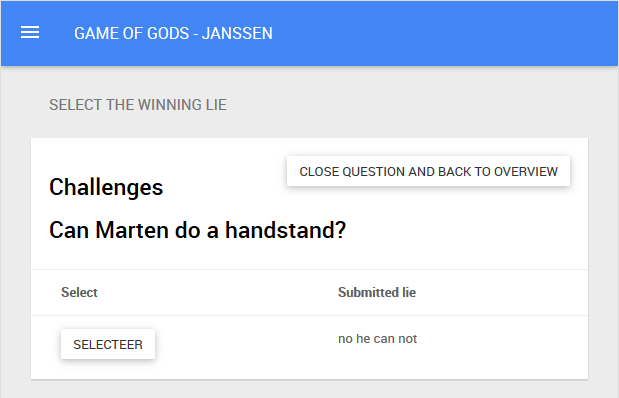 500 points are rewarded to the player that has submitted the lie that Marten selected. Another 100 points for every player that selected your lie (regardless if it was picked by Marten or not). 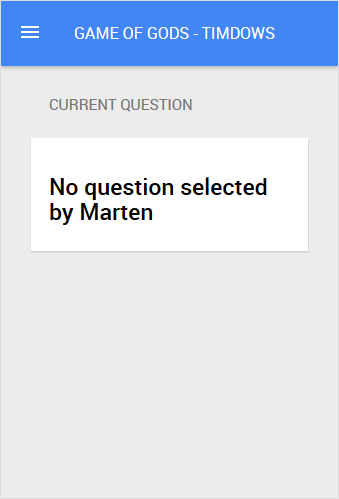 In the select question overview, Marten can only see the category of the question. He than selected a question to be played. As soon as he does that, the select lies action becomes available. In the select winning lie screen, Marten pickes the best lie, not knowing who of the players submitted it. 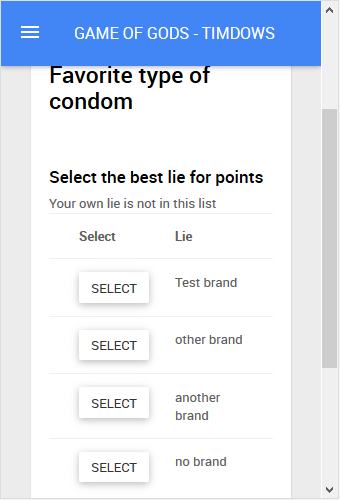 The lies are added to this screen as soon as the player submits them, so Marten can already read some lies before all players have submitted them. 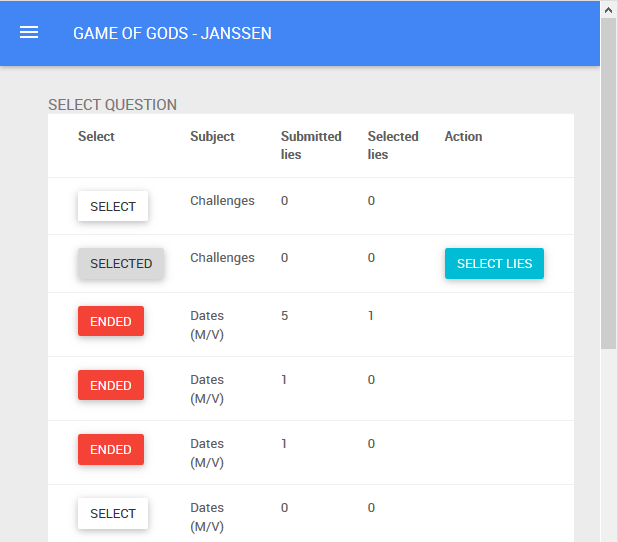 The close question notifies the players that they cannot add any more answers, and now need to select the best lie for giving points. In the overview the stop round action becomes available, when clicked the points are rewarded to the players and every player will see the points page. After this Marten can close the question and the game is in a waiting state for Marten to select a question to be played. At any moment of the game, a player can see the scores via the menu. The players row is highlighted. The points are divided in the different categories and a grand total. The solution consist of two project, a data and MVC project. The data project is responsible for creating, seeding and handling all database related actions. 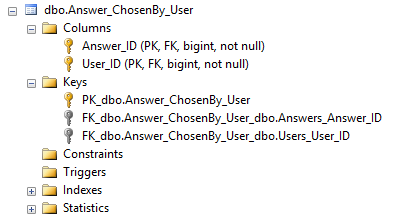 The seeder creates the database if it does not exist, next is adds the tables and inserts a new user (by the name of root), the different subjects (categories) and a couple of dozen of questions. The MVC project is using Angular on the front-end, and 8 back-end controllers all extending MJAGameController. The front-end part is based on a single page, with 8 controllers as well. At this moment it is a bad practice of implementing, as there is no routing used for this project on the Angular side. 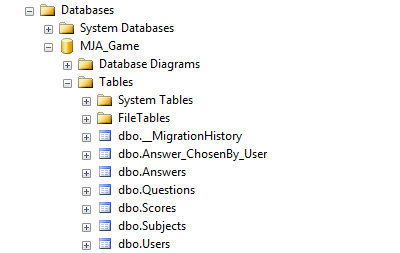 The MSSQL database is created and seeded upon first run, it looks at the MJAGameConnection in the web.config file where the server is located and how to authenticate against it.